It is always a headache to take a car in for servicing. However, what is worse is delaying a service appointment until the vehicle’s condition becomes disastrous and extremely expensive to correct. The oil change service in Marysville at Conaway Motors has the most efficient mechanics working to change vehicle oil in an expert manner, to get you back on the road fast. Why go for an oil change service? It is oil that serves to keep the vehicle’s engine lubricated. When the oil isn’t changed for a long time, it solidifies. This affects the vehicle from running smoothly as it is essential for the engine to remain lubricated. Moreover, the engine can stop running all-together. A regular oil change service does not cost much when the engine is in running condition. It is when scheduled oil changes are missed and forgotten over prolonged periods of time that larger and more expensive issues can occur. Another advantage of a regular oil servicing is that related errors are detected during maintenance, such as other fluid leakage issues. When detected at an early stage, repair costs are close to minimal. Whether going for a BMW Service or Chevrolet Service, its best not delayed. 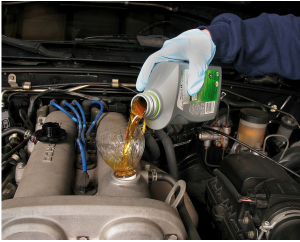 It is suggested that vehicles using synthetic oil should change the oil every 7,000 miles and those using regular oil should change every 5,000 miles. Conaway Motors offers oil change service in Marysville completed by Master Certified Technicians. Schedule an appointment today by dialing (425)905-2424. We are available for a large variety of vehicle repair services, and provide immediate assistance without wasting our client’s valuable time.